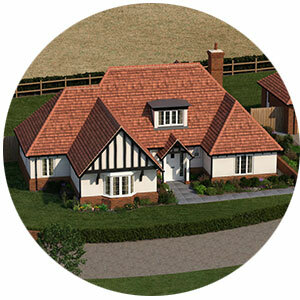 An exclusive development of just 3 spacious detached chalet style homes on the edge of the village of Sheering. Available August 2018. A new development of just 3 detached ‘barn style’ homes with wonderful rural views in the village of Leaden Roding. Available August 2018.
in Braintree, a prime commuter location. An exclusive development of spacious detached chalet style homes in the village of Sheering in a wonderful setting with amazing views. 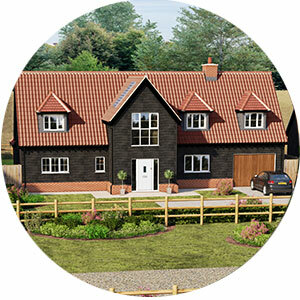 Three new 3 bedroom homes in a rural setting surrounded by open countryside and with magnificent views. Chelsteen Homes are actively looking for development land in Essex, Hertfordshire, Suffolk and Cambridgeshire. Please feel free to contact us to discuss any potential opportunities you may have. Why choose a Chelsteen Home? Chelsteen Homes have been developing new homes for the owner occupier and investment markets for almost 50 years. With offices in Chelmsford the company operates throughout Essex, Suffolk, Cambridgeshire and Hertfordshire. Our homes are unique; we have no standard house types or specification. Each development is designed and planned specifically for each site and we develop all types of homes from first time buyer apartments to high-end luxury family houses. 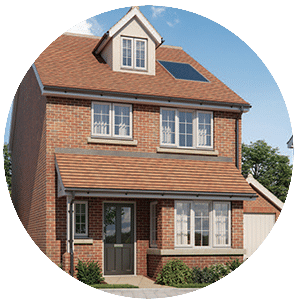 We are a small, family run business with a professional approach to property development and a pride in the developments we complete and the service we provide to our purchasers. Chelsteen Homes are able to offer the Government backed ‘Help to Buy’ scheme operated through the HCA. This scheme is available to first time buyers and existing home owners alike and enables buyers of new homes to purchase with as little as 5% deposit. The Government lends the purchaser up to 20% of the purchase price so the purchaser can then secure a 75% mortgage with one of a number of registered mortgage providers. Help to Buy is available for those looking for a new home of up to £600,000.